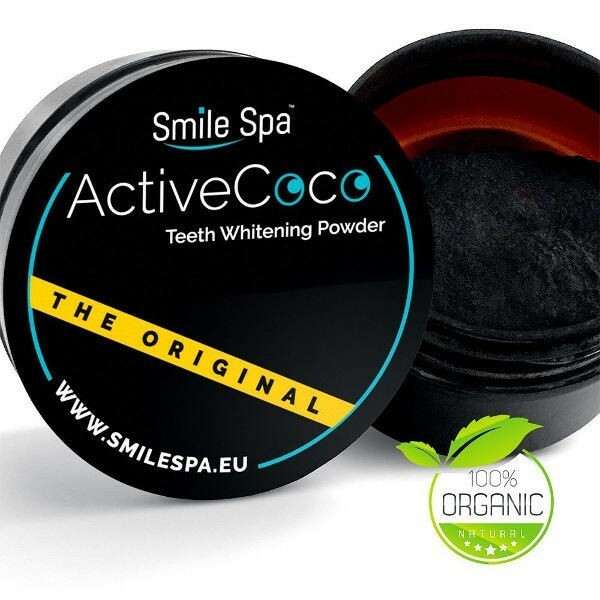 A 100% natural coconut activated carbon black powder to get white and healthy teeth! What is the black powder for teeth whitening? The black powder is a natural product made from coconut shell. 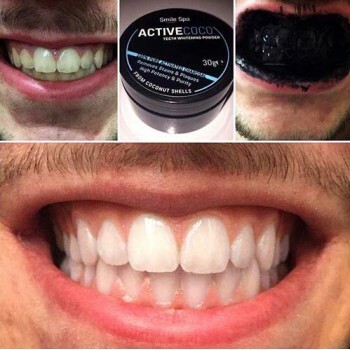 This activated carbon powder has whitening properties but is also efficient to keep your mouth healthy and clean. Totally natural, it neutralizes bacteria, prevents from tooth plaque, tooth decay and bad breath without irritating gums, even the most sensitive ones. After the tooth brushing with the black powder, your teeth are clean, your breath is fresh and your teeth will be whiter day after day. 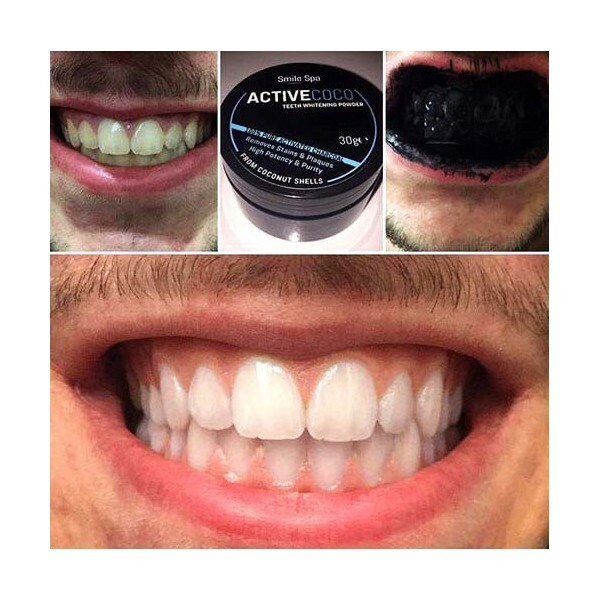 How to use the black powder for white teeth? - The powder instantly becomes a paste whose micro-granulation enables to fight stains due to smoking, coffee or other beverages/food. It is recommended to use it after each meal to have optimal results. The jar contains 1.06 oz, it represents up to 120 product uses. il respecte sa promesse ! détartre et rend les dents plus blanches au fur et a mesure de l'utilisation. J'ai acheté ce produit et il est vraiment miraculeux. Ca enlève les petites tâches sur les dents et les rend plus blanches. Le pot est vraiment grand par rapport à la quantité dont on a besoin pour une utilisation. Vraiment top top !